Southland Ceiling Tiles is rated 4.7 out of 5 by 7. 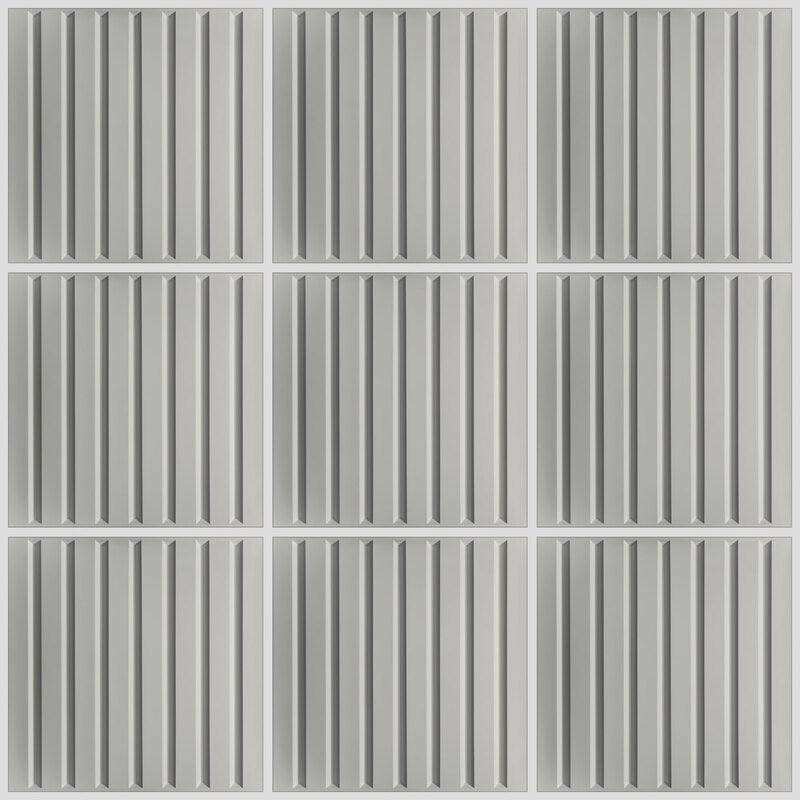 2 ft. x 2 ft. 2 ft. x 4 ft. 2 ft. x 2 ft.
Southland Ceiling Tiles have long, smooth channels that add interest without inundating. Made from our Feather-Light Series 0.013 in. thick vinyl plastic, they are unlike any ceiling tile you will ever see or feel. You may be surprised by their minimal weight, but their thermoformed design combined with the inherent strength of vinyl makes these tiles rigid, durable, and easy to install and maintain. The Souhtland , and all Feather-Light Ceilume ceiling tiles, are made from a thin rigid vinyl and the R-Value is only 0.012. Adding the Soniguard Drop Ceiling insulation brings the R-Value up to 6. You can cut the Southland with the same hole saw that you'd use to cut a mineral fiber tile. The trick is to run the hole saw in reverse which allows the teeth cut smoothly through the vinyl. You can also use a good pair of scissors or a pair of straight bladed aviation snips. We recommend that you do not use a utility knife as the blade could slip on the smooth vinyl and cause injury. Hello, Is it possible to get a sample of this product? We are an interior design firm looking for a product that looks &quot;coastal&quot; for a lobby in south Florida that can withstand a wet environment. We'd be happy to send up to 3 free, full-sized samples. Give us a call at 1-800-557-0654 between the hours of 6:30 am - 4:30 pm PST. We'll chat about your upcoming project to make sure we're sending the right tiles for your specific installation and get those samples headed your way a.s.a.p. Can I be sent an FM Certificate of Compliance. I have your FM approval guide, however my customer is requesting specifically a copy of the signed FM Certificate of Compliance. 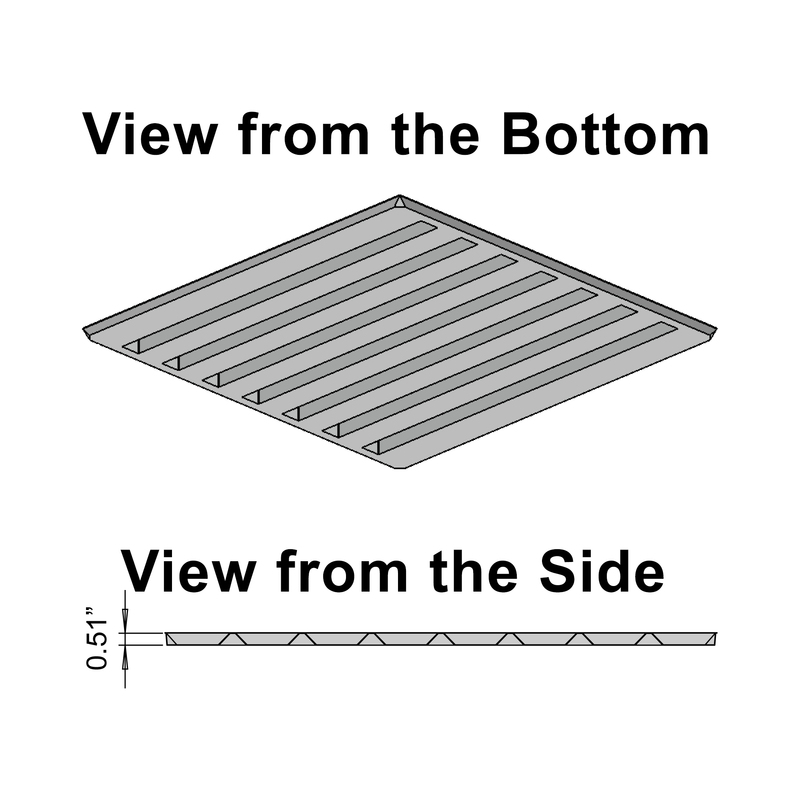 Can the ceiling tiles be stapled or glued directly to an existing drywall ceiling in a covered outdoor patio? The Ceilume Southland tiles (and all of the Feather-Light tiles) can not be glued or stapled to a drywall ceiling. On the back side of each tile there is a lip around the perimeter of the tile to give them structural rigidity. 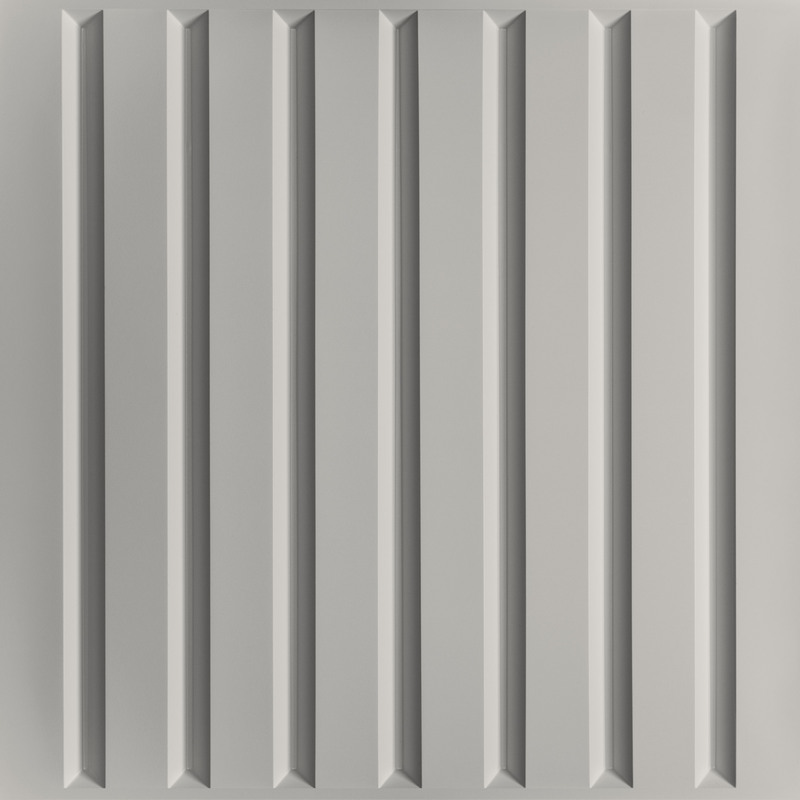 That lip and the thinness of the tile make them perfect for installation in a ceiling grid. For a glue up installation, take a look at our Glue-Up tile selection. http://www.ceilume.com/shop/glue-up-ceiling-tiles/ All of those tiles have a flat back and are made of our thicker Signature material which makes them perfect for glue-up installations. Rated 5 out of 5 by Bunny from Easy to work with We received a sample, and a follow up phone call when we ordered. The tiles came on time and were easy to install (trim, etc). The project came out great! Rated 5 out of 5 by Ward Martin from All went fine. The kitchen is brighter and the wife is happy. Need I say more?!! Rated 5 out of 5 by ALFT from Easy and attractive! We purchased Ceilume tiles to update our basement living room. We were able to replace the tiles ourselves. The Ceilume tiles are sharp-looking, flexible, light weight and easy to install! It has helped to update our space and give it a fresh look. Highly recommend! Rated 5 out of 5 by LeoS from Really made the space look updated and modern! We were looking for a cost-effective solution to update the usual boring drop ceiling in an office space. We were on a tight budget and the Southland White tiles did the trick. The ceiling now looks updated and modern! Rated 4 out of 5 by Rich from Looks Great We're constructing a boathouse on the South Shore of MA and wanted the ceiling to reflect a boat-building atmosphere. The Southland White ceiling tile reminded us of lapstrake boat construction. It looks great. Rated 4 out of 5 by Ray Le Blanc from Great tiles except for certain spots where I have open holes along the outside wall. It would be nice if you could supply a filler panel to hide these. Not an easy solution.